Could Fortnite Steal Over PUBG’s Popularity? The main difference between these 2 scales down to the map size. This, of course, causes several other differentiating factors such as game pace and length. 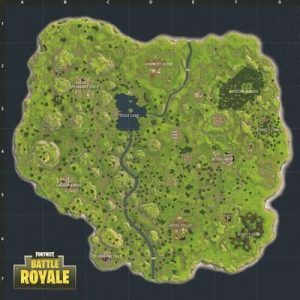 Both games have the same number of players in a single match (100) but the map of Fortnite is a lot smaller than that of PUBG. This results in slightly shorter matches as well as much faster pace. In fact, the player base gets reduced to half in the first few minutes of gameplay. Another important aspect is the fact that players cannot use vehicles in Fortnite while in PUBG they play a key role… As a matter of fact, I reckon Fortnite's map is smaller simply to compensate for the lack of controllable vehicles. Furthermore, Fornite provides its users with a partially destructible environment as well as some basic crafting mechanisms. You can destroy vehicles for metal, rocks for bricks and wood for… well, wood. Once you fill your inventory with various materials you'll be able to create makeshift shelters, houses, stairways to help you cross mountains and walls to plan your escape from sticky situations. These mechanics will probably be improved in the future considering we're talking about an unfinished game here. Is there any future for Fortnite in terms of eSports? This is, of course, a difficult question to answer right away. It's been debatable for PUBG as well… but we are now witnessing a fair number of tournaments with a decent fanbase. Just take PUBG IEM Oakland 2017 as the perfect example! So, as far as PUBG is concerned it's safe to say eSports integration is a viable option. However, Fornite Battle Royale is still far from the grand stage despite its exponential growth in popularity during the first month of being available. If the trends continue in the same fashion there is no doubt we'll see first big Fortnite tournaments emerging in the foreseeable future.